I am getting older and my skin is less forgiving to the abuse I put it through. That coupled with the fact that “winter is coming” and I am looking for new, skin friendly, ways to remove my makeup, clean my skin — all while maintaining my current level of laziness when it comes to personal hygiene (seriously I hate to wash my hair, dry my hair, remove my makeup … it all interferes with my sleep). 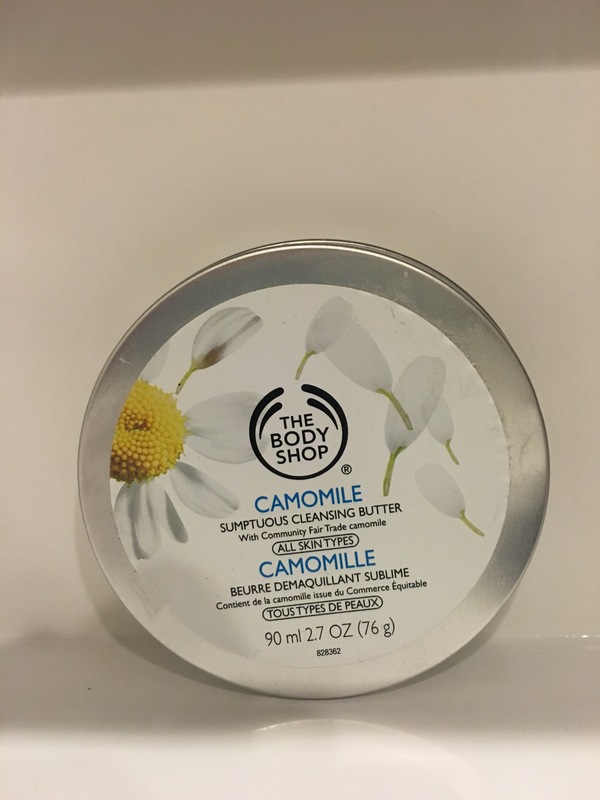 So when I was wandering around the body shop I was very curious to find and try the Camomile Sumptuous Cleansing Balm. 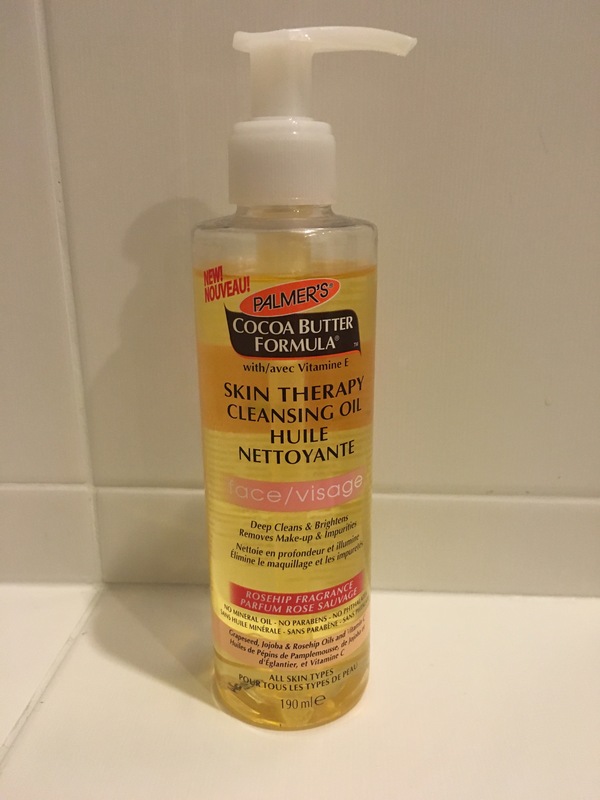 I also was lucky to win a contest put on by Beauty Vixen where I received a Palmer’s package (including the cleansing oil which i have heard nothing but great things about). These seemed to all be a sign so I decided this was going to be the winter that I step up my skincare game! This cleanser is an indulgent make-up remover for the whole face. It gently and efficiently melts away make-up and impurities, leaving skin feeling clean, refreshed and pampered. I love this product! 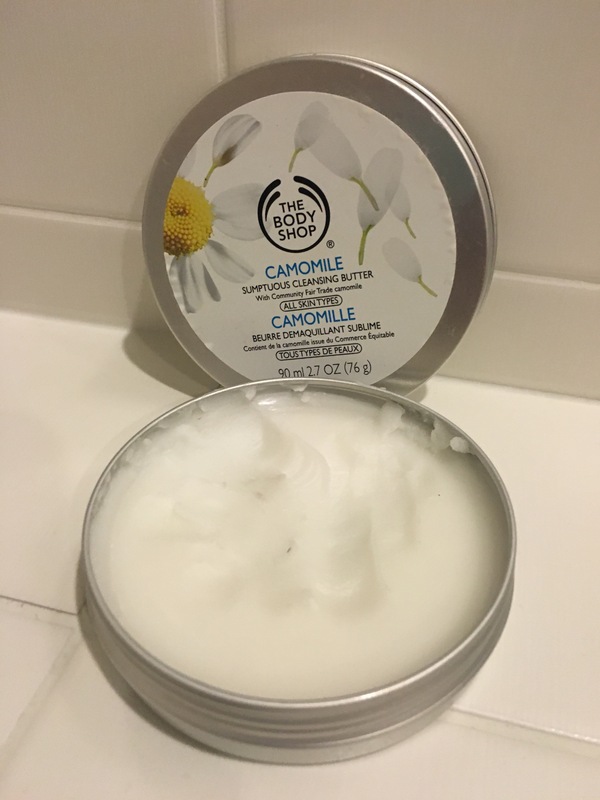 It is so creamy it feels less like a cleanser and more like a deep hydrating cream. It really does melt away the make-up and is so gentle on the skin. The way I have made the product work best for me is to apply about a tablespoon of the cream on my face and neck, wet my hands and massage my face. Then I use a cotton pad to really wipe off my eye make-up and then I finally rinse it off. I’m not totally sure that my skin is fully clean with this product alone so them I cleanse as normal and apply my moisturizer. At a $16 price point this is a must have product – especially if you struggle getting off all the mascara but still demand white sheets (or am I the only one out there?). Purifies complexion for clear, soft and brighter looking skin. I totally understand why people are raving about cleansing oil now. My skin is loving this product. It is so moisturizing and unlike the body shop cleaning balm I really do feel like my skin has gotten a deep clean. Also it don’t feel like there’s a greasy or oily feel afterwards – it seems to be the perfect amount of moisture for my skin. I thought to myself “SELF, these are both great products … why can’t I use them both?” And I did and am forever grateful. I have been using the cleansing balm as a make-up remover and initial cleanser. I then follow with the cleansing oil and BAM clean happy skin! 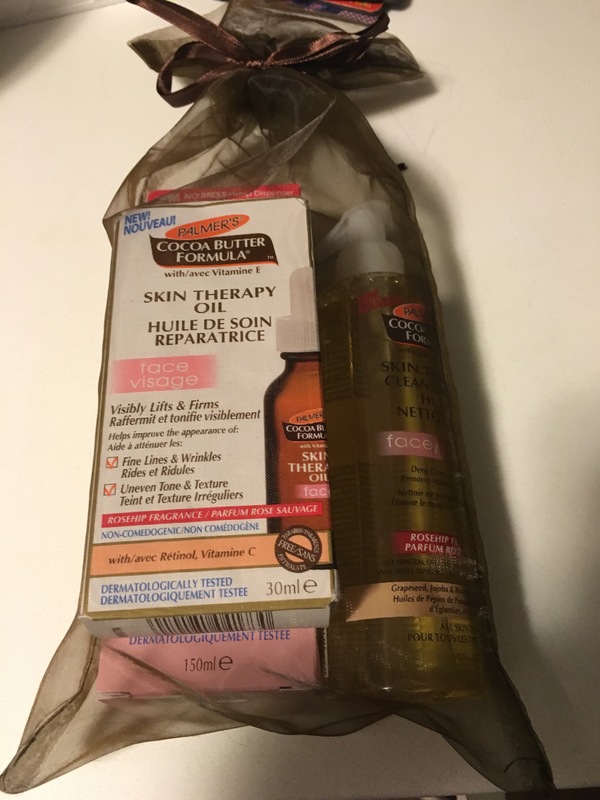 This entry was posted in Beauty and tagged balm, cleanser, face care, face wash, moisturize, oil, palmer's, skin care, The Body Shop by maldham. Bookmark the permalink. When you see this message can you please check your mail and get back to me, I have sent you a few emails and I did not hear anything from you, I see you are posting regularly here so maybe you did not get my email but please get back to me as soon as possible. Hi Madison. Sorry I haven’t received any emails. I just sent you one. Please confirm if you received it.